"Based on a manuscript left unfinished by JRR Tolkien, this book suffers greatly from any comparison to the master's fully completed works. The story itself revolves around the consequences suffered by Hurin's family after he dares to defy the evil Morgoth (Sauron from LOTR's bigger and badder boss). Chock full of unlikeable characters and relentless tragedies, it is a heavy and frankly depressing book to wade through. (Son) Christopher Tolkien states that he completed the manuscript "with a minimum of editorial presence" and "without distortion or invention." But therein lies a large part of the problem. The Children of Hurin has a choppy, incomplete feel and was sorely in need of some vigorous "invention" to make it read more like a fully developed novel and not merely an expanded outline. Interesting in a dry academic sort of way, it lacks any of the humor, warmth, and inspirational qualities of The Hobbit or LOTR. 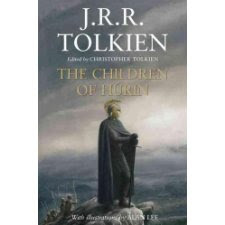 In short, The Children of Hurin is a dull and bleak read -- of interest, I'm afraid, to none but the most extreme Tolkien fans."